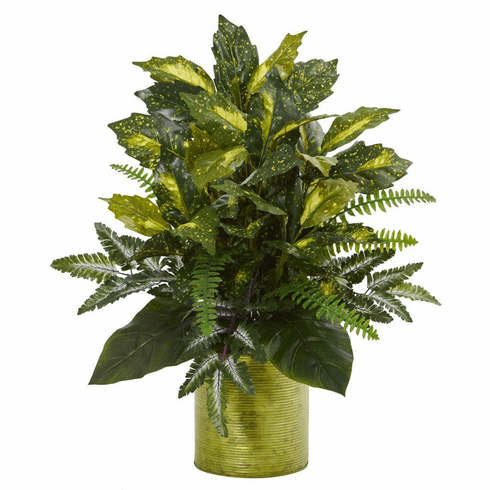 The broad green leaves of this 27� artificial mixed greens plant are splattered with tiny hints of light green and yellow to create a beautiful, artistic addition to your home. The density of the foliage is impressive. It also comes in a green tin planter that highlights the colors in the leaves. Size: Height: 27 In., Width: 20 In., Depth: 20 In.